Here are previous postings of our daily snow report, combining data from our snow study plot with observations on the hill. Use this as suggestion; get out, dig around, be careful, learn and enjoy everything about the backcountry! The snow tapered off yesterday, which was actually pretty welcome for all of us trying to keep up with snow clearing. Only about 6cm overnight, but really nice snowflake crystals—six arms and lots of air in there. It often seems like the prettiest flakes fall at the end of the cycle. Colder over the last 24 hours, with a low of around -8°C at the Headquarters here. While the humidity remained high earlier this morning, it’s now coming down (93% earlier vs 83% at 10am) while the barometer is holding steady for the moment around 932. The snow has settled; foot penetration was 67cm today, while the snowpack total has gone back under 3 meters to 291cm. Kind of typical Myoko style, as the weight of the snow just compresses things down and stabilizes the snow. I was going to climb today, but with the snow shoveling pushing back necessary deskwork I sent the team out without me…. Ahh…. But we do want to get a pit dug sometime soon to confirm what we see at base level. With what looks like a full day or more of heavy snow coming tomorrow, thing are definitely going to be changing. We have a solid base now, it’s not so sunny that sun crusts become a huge worry but if we do get some unstable conditions developing today, and then topping that off with lots of light fresh (or wind slab up high if the winds are howling) we could see sluffing at least, slab formation at worst. If it’s another monster fall, remember how beautiful those Erman’s birches up high and beech forests further down are—low angle, deep snow, safe and fun…. A lot of wind overnight, and heavy, wind-affected snow this morning. That, and the fact that we got more snow than was expected—55cm—meant for a pretty slow slog out to the study plot this morning (I heard similar stories from off the hill, with people skiing at both Ikenotaira and Lotte Arai saying you needed some steep to move in the deep). It was a strange day of sun and high, thin clouds, then heavy snow, some gusts from the north at times. That barometer is staying low today, too, at 919. The snow might have been heavy, but it’s not settled; foot penetration was 81cm. The surface snow was fairly small stellar crystals. I have a feeling there was some graupel—soft hail—underneath there. Last night at about 8 we had a series of lightning flashes, followed by beautiful, rolling thunder echoing in the mountains. That often means heavy snow, and quite usually graupel (the textbooks tell us that in fact it is the graupel moving up and down in the clouds that generates static electricity. Boom). Moderate north winds to start the day. Not that cold overnight, and the humidity still up at 92%. Our total snowpack is now back up to over three meters, at 301cm. Catching up on reports here…. Lots of snow is falling, so lots of plowing to be done. And, of course, getting out each day to look at the snow. Cold overnight, so we had some nice, sparkly faceted crystals on the surface (baby hoarfrost?). The sun was out from the morning, so those crystals definitely disappeared into the pack. The snow is settling, so foot penetration was “just” 79cm (still deep, though, enough to worry about struggle on a snowshoe hike—but it wasn’t bad). 12cm of new snow, with the total snow depth also down a bit from the previous day to 283cm. Moderate wind from the west, but serious wind on the ridges. Several times in the day it almost looked like clouds were over the peaks, but was actually blowing snow. The barometer is staying low at 921, the humidity still high at 92%. Niigata Prefecture told us 20 to 40cm; we got 56cm, and it’s still coming down hard, probably 3cm per hour. I wanted to write early today after a phone call from a local hotel; a group of international guests were thinking of skiing the chutes down to Tsubame. I suggested that this might be a bad idea/suicidal. We did have a solo skier disappear in that area in very similar situations a few years ago. The snow will be so fun that there’s no need to go that steep just yet; the snow should stop mid-day, things will settle just a bit and the conditions will improve… Stay low-angle for a while; you’ll still get face shots. Because that 56cm is made of nice stellar crystals. They were perfect earlier during the morning snow throwing, a bit more mixed at the moment but still full of air. Meaning foot penetration was 119cm (unlimited). Don’t fall this morning. The barometer is staying low for the third consecutive day at 923. Humidity at 95%. Light winds from the northeast (reflecting a little bit of a swirl around the hills down here). Offshore the winds are coming in steady and strong from the northwest, the typical conditions for heavy snow. The four-meter snowpack pole has now reached 3 meters. And climbing (may have to add a bamboo pole extension to keep us measuring). Lots of wind and snow overnight; big drifts around my house in the morning, less so around the Dancing Snow center. Enough, though, so my 24-hour snow board and storm cycle board—only about a meter apart—were about 6cm different. I went with the lower, which was still 83cm. Conditions were calm by morning, though, while the snow continued to fall heavily through the morning (looked like about 3 cm per hour when I measured around 9:30). Foot penetration was 96cm—maybe even deeper, as it’s hard to tell once your leg is entirely in the snow. I also received reports from the hill that it was blowing pretty hard around 2000 meters. The total snowfall is now 277 cm. That four-meter pole outside is slowly disappearing. Nice to have all that snow, although it also has a bit of instability, with sluffing being reported by several people. The top 20cm, one guy said, seemed to want to release (maybe affected by a bit of wind underneath?). One of the best sites for accurate forecasts of snowfall is Niigata prefecture itself, at chrome-extension://oemmndcbldboiebfnladdacbdfmadadm/http://www.jma-net.go.jp/niigata/yuki/yukijoho.pdf. Myoko is at No. 12; the figures are the high and low forecasts, and, again, are about as good as you can get, we’ve found. There’s that feeling this morning before the next big snowfall. It’s a little humid, it’s not very cold, but the barometer is low and falling (921 at 8am, 916 at noon), and the snow did in fact begin to fall mid-morning. Niigata Prefecture’s official snow prediction is for 25 to 50cm here by 9am tomorrow, a forecast that usually is pretty accurate. The snow is settled after the warm and sun yesterday, with that one-legged foot penetration just 29cm. A little crustiness on the surface here, but not a real crust. Humidity is at 84%. The surface snow is small, rounded melt-freeze crystals, which should bond very nicely with the fresh that’s now falling. Winds are light and variable, although the word from the peaks (about 1800 meters) was some pretty strong winds high, diminishing quickly at the top of the resorts. Total snowpack here is 207cm. Sun to start the day, shining off the nice big stellar flakes that fell until last night (not exactly sure when it stopped). Pretty stable temperatures from the previous day, with a low of -6°C overnight. The humidity is still up at 91%, barometer steady at 932. It was mostly clear in the morning, but with high thin clouds. Just 8cm of fresh, but it was really nice and light. Foot penetration was at a (for the past days) pretty consistent 41cm, so the snow is settling nicely as it falls. While it was calm down below, the wind was really blasting off the ridges in the morning. Nice new cornices are shining on those ridges, too—they especially stand out against the mountians, which are still pretty bushy. In a lot of places the snow is much better low down than at the peaks, and there’s more bush under the dakekanba (Erman’s birches, those big pinkish trees) than in the beech forests further down. Our official total snowpack at World Headquarters is 219cm. I think we’re finally getting into the winter rhythm—meaning up at 5 to snowthrow and plow a lot of surface; at the snow study plot by 8; guests to the hill by 9 and reporting to you before 10. Gets to be a long day when the snow keeps falling (and looks like it’s going to keep on falling). Pretty strong wind through the night meant drifting around the house, which is open to the north, less so at Dancing Snow World Headquarters just below Akakan. This could mean both bigger cornices and wind waves around trees up higher and along valley edges (always an interesting part of skiing down!). We didn’t get the real cold -10° minimum low of a day ago, but the current and max temperatures are both lower. 24-hour snowfall: 34 cm. Thought it would be denser than yesterday, but it’s pretty much the same as yesterday (meaning pretty light). The flakes were stellar dendrites and mixed bits, some up to 2mm in diameter. Foot penetration was 48cm, so the previous snow has settled pretty well. Did dig a bit to see about a sun crust under there, but found nothing on our pretty neutral space (no particular orientation). I’ll dig deeper later. Humidity 95%; wind light from the northeast, but variable. Barometer 930 and rising slowly at the moment. So sun tomorrow as predicted? Or will we keep seeing white until the heavy stuff comes in around Sunday…. PS Got the word from our Ricky up on top of Maeyama that the wind was really strong mid-day. The snow continued until late yesterday, tapered off and we got some stars and a cold night, with the temperature going down to -10°C. This morning the air was nice and cool but that sun was warm; I’ll be interested to see how much of a crust built up, but I don’t expect much, really. We got an additional 24cm of snow up to this morning, including some settling, of course, making the total snowpack here at the World Headquarters 214cm. Highest this season, but I’m sure it will be down tomorrow with that sun. Foot penetration was 41cm—good settled snow, making it easy to get out to the study plot. Humidity was back down to 76%; The sky was about 50% covered early in the morning and through the day. A little snow is now drifting down (at 4pm), and I hope more is coming! Sparkly snow on the surface, but it was a mix of new dendrites with some faceting building up on some arms… not sure what to call that (back to the books!). I did see some pretty strong ridge blowing up high in the morning, too, although it seems like the winds tapered off during the day. Watch those fresh cornices! It’s still pretty bushy high up, by the way, with deeper snows lower down the hill (like under 1600 meters). With that rain just before our 40+ of new, I was curious about the layers in the snow, so I dug on one of our small slopes. There is a rain layer down about 42cm, but not a rain crust. It’s not that deep, really wet and well bonded; it disappears into the snow below. Let’s see how it transitions in the coming days/weeks. It’s very likely that it will just fade as all that fresh that is coming up keeps pressing it down. Here I am back after a few days. Now, I know I promised to keep up on the snow reports, and you have to understand, I hate missing a morning going out there to find out what’s going on with the white stuff. The more data, the more interesting it gets (I think I should worry about becoming a snow geek). But with one important member of the team down with the flu (meaning me handling an unexpected snowshoe tour), a quick trip to Tokyo… well, things happen. But I’m back, along with the snow. On the snowshoe tour Monday, we had some nice fresh snow, probably 5-8 cm of large crystals, on a fairly well-compressed base. No crust, compressible under snowshoes but well settled. Yesterday we had rain from late afternoon, and the concern of some wind, but while it did blow during the night, there weren’t a lot of consistently blowing winds. So, today, waking up to a morning of fresh snow: 22cm of fresh irregular flakes at just before 8 am; 95% humidity (and still high now in late afternoon). The barometer is down, 926 early, 925 now. The total snowpack is still holding at two meters out back. The snow has continued to fall all day, so we’ve probably doubled the total—let’s see tomorrow morning. Oh, yes, and foot penetration was at 41 cm, so that base is nicely settled, and it wasn’t particularly water-saturated gray stuff below. I’ll make a dig tomorrow and see what we find. It was great to head to Niseko, great to meet the new president of K2 Sports, but I’m happily back at home and out in our snow again. Felt like I was missing something without getting out to do that daily research…. No new snow to report; foot penetration was 40cm, so it is settling well. Total snow depth is 211cm. Barometer steady at around 932. We are getting sun today, although it’s shining through some high, thin clouds that occasionally build up and reduce the sun’s intensity. No wind again, which is good news. We don’t have big cornices yet, and with no snow there is no wind loading of lee slopes—also good news for those heading out. Snow conditions are likely to be pretty bad, though, although there might be good powder in shaded/north-facing areas. Having been gone for a few days, I did want to see what’s going on in the snowpack, so I made a dig on a small slope near our study plot. There is a layer about 61 cm down in the snow, with all that fresh now settled above it. That layer is made up of pretty well bonded crystals, though; it’s kind of crunchy feeling, but it holds together pretty well. It will be interesting to see if conditions are the same higher up. Thanks to our fearless guide Miles, who selflessly dragged himself out to the snow plot to do some poking in the snow, I am in fact able to bring you an abbreviated snow report. Because this is a day that needs reporting. Lots of wind overnight, and some significant drifting of snow. I think we’ve got a pretty good location for our study boards; not much drifting in that area, but it’s still open to the sky. Ninety-two (92) cm is the official poke of the day; Miles went around the building, too, and found depths from 80 to one meter, depending on the location, so our official figure looks pretty good. It also means the boards aren’t going to be lost when I get back later in the week! They’re only a meter tall…. Foot penetration was 102cm—meaning there was no more foot involved (more waist penetration). Very light, unconsolidated snow. Miles didn’t get out the crystal loupe, but noted that we weren’t getting really large flakes at least early this morning. It will be interesting to see how it settles. That strong wind could also have built up the cornices on high ridges; if so, they also won’t be well consolidated and deserve even more attention than normal. All that unconsolidated soft snow really increases the risk of sluffing; if you are going offpiste today be especially careful of terrain traps: if you fall and slide, will you and all that soft snow end up in a tight valley where it just keeps building up over you? This is exactly what happened in a fatal accident very close by a few years ago. Maybe today is a good day to enjoy onpiste powder! This will be my last report—at least complete with my daily prodding and poking of the snow—until the 12th. I will get some general info from the team on snowfall and wind, and maybe some info from the hills as Miles will be out with a group for the next few days. For the 7th: Colder, humidity down a bit at 88% (and the snow likewise tapered off): total snowfall for 24 hours was just 4cm. Foot penetration was 64cm, so the snow is settling. Barometer up slightly at 933. The fresh snow was made up of beautiful starry bits; it was so sparkly that I thought we had facets (the squared-off, sharp crystals that don’t want to bond, and in many places are a big problem, although hardly ever in Myoko). But the sparkles were all the long arms of the crystals. I almost thought we might have needles, a shape that can make for really unpleasant backcountry downhill—they lie so closely packed that heading downhill can be a challenge. Think breaking trail up and then down too. I hate leaving Myoko this time of year, but an interesting chance up in Niseko…. Ski industry stuff, ya know. Will tell more when I’m back! But we’ll report on anything extreme over the next few days. The first night in some time with pretty strong winds, although things calmed down by morning. Lots of drifting in places—and the drifts were made up of really dense, heavy, wind-packed snow. I have a feeling it could be a pretty heavy slog even getting down some of the slopes up on the mountain today. Today’s sample, which included the smaller ice particles and other snow from yesterday, was pretty dense (right about 200kg/m3, compared to 120-130kg/m3 right at the start of the new year). The snow on the surface today was some nice, big dendrites (about 2mm and larger in diameter)—some whole stars, lots of broken arms and bits. Plenty of air in there, anyway, which would make for more pleasant skiing. Foot penetration (that one-legged test of snow settling) is a great big 89cm, so the snow is not settled. Again, climbing today could be a good workout. People from abroad sometimes ask if they can’t just bootpack to the summits; today is one of those days that always make me say, please don’t try…. The humidity is up at 94%; the barometer is pretty steady from yesterday at 928. New snowfall of 42cm; total snowpack at 211cm. I’m going to report early today, because what we saw from yesterday up to about 10 this morning is going to be completely different from what will happen from 10 to tomorrow morning. It’s warmer today, with a barometer that has dropped more than 10 points to 925. Humidity is at 70% (and rising). So we know it will be snowing…. That sun yesterday did its job, though: our team felt the sun crust slowly emerge today, while others on south-facing slopes reported heavy, mucky snow. We did have a sun crust outside the World Headquarters this morning, but it wasn’t highly cohesive. Rather than stay in the snow as a weak layer, I think it will compress down nicely and disappear into the snowpack, but do think about it if we get a lot of snow today. That is how weak layers can be born. Foot penetration was down to 48cm, so the snow has settled; total snowpack is 176cm, which tells us the same thing. Today’s snow on the surface was small freeze-melt crystals. There were some strong wind gusts late last night, but just a quick blast around 11 pm. Since then it’s once again been calm. Hope to add more information from the hill, but we’re still not climbing too high—still too many bushes, vines and saplings. Despite my promises, the constant snowfall (and resulting constant snow clearing) and the usual slow shift into winter gear has kept me from posting. But not from getting out and measuring that snow every morning—and now reporting this to you. The good news: consistent snowfall, not a whole lot of wind to report, facets (sparkly, sharp, unconnected crystals) on top of the snow after a clear cold night but which disappeared into the snowpack almost immediately. It’s been a bit unsettled, which makes it a bit tough out on the hill (good job to our guests who slogged it out on the exit road yesterday! ), but as most always things settle pretty steadily. Today’s sun will only help this. So there you go. Digging down in the snow today was what we like to see: light on top with the fresh snow, steadily more dense snow below. No crazy layers or anything yet, but the sun today could create a new layer in the snow. Let’s see over the coming days…. The good stuff is finally falling (and we actually have a snowpack to report on now! ), so time to start the snow reports for the 2018-2019 season (sound of glove-muffled applause). Up to yesterday, there was just under 60cm of melt-freeze crystals (big, wet, shiny, sort of stuck together, with a little fresh on top). Yesterday morning brought in 80cm of fresh snow—nice big flakes, the traditional snowflake shape but heavily rimed (the snowflake shape, but with smaller particles sticking on). Today, after some wind overnight, it was pretty calm in the morning. 45cm of fresh snow, this time accumulations of irregular particles, but still with enough space in there to make it pretty light. Doing a foot penetration test—standing on one foot to see how far down it will go in the fresh, a test for snow settling—gave me a number of 98cm. Basically, I ran out of leg and stopped. The snow was really unsettled, which is something to think about if you do venture away from groomed slopes. It can be really hard to get back up if you fall, and if you do a header, it could be unpleasant or even dangerous. Could sluff pretty easily, too, something to consider: if a sluff carries you into a deep V-shaped valley, the result could be bad. The total snowpack here at World Headquarters is now 145cm. One new addition to our study plot (along with three remote temperature sensors) is the total height of snow pole. I always mean to get it our every year; this year a four-meter pole is out there marked and ready to go. Funny how much shorter it already looks…. The wind has picked up through the day, and the snow is falling at three-plus centimeters an hour. That’s a lot coming down fast, so things look likely to remain unsettled. Poor visibility, too—fog that is really just lots of snow. So stay tuned! I’ll try and get up earlier in the morning to do the plowing and the snow testing and the reporting and…. I’m spacing out reports now, I know; the action in the snowpack is pretty steady now and we’re unlikely to see a really big snowfall (but it always could happen!). Yours truly also had to go to Tokyo on the 15th for the daughter’s high school graduation (yes, proud father time). But things did change after that…. The 16th was pretty nasty, with colder temperatures and light snowfall—and lots of wind. The snow didn’t really amount to much, but the morning of the 17th came with a bit of crust and what looked like what could be tricky snow on top (maybe even no-go-snow). In fact, one of my correspondents said it was in fact really nice up top, with a temperature inversion and a beautiful unkai—the sea of clouds—below. Will try it tomorrow, when hopefully warmer weather will soften things up even more. New snowfall: 2 cm of graupel/soft hail on the 16th. Conditions: Calm, sunny for most of the day. Barometer high and steady. It is warm; the birds are singing (they know). Looks like a nice sunny day and we might as well look towards settled snow rather than powder. Yesterday (12th) we had a pretty pronounced crust under the light fall of graupel (soft hail about 2mm in diameter); today that has firmed up a lot, so I could walk out to the snow plot on the surface without breaking through. I hope that’s a good sign that the snow is settling, so as it warms we could get some fun corn snow. The word yesterday from our team was pretty icy conditions up high, so I’m actually lookgin forward to warmer/softer conditions over the next few days. With warming comes the danger of cornice collapse, so do keep an eye up above you as you climb (especially at the entry to the climb at Suginohara; when those cornices come down they can fill the valley below, and even jump out onto the flats just above the lift; also the big ones on Mt. Mitahara). New snowfall: 2.5 cm of graupel/soft hail on the 12th; nothing on the 13th. Conditions: Southeast breeze earlier, probably going southwest. Barometer high and steady. Those winds finally calmed down after taking away a lot of the snow. The rain helps, of course, but it's really the wind that The walls on the north side of the streets leading up to the resort are really, really low. Scary low, even—Miles even found a fuki no to (I guess they call them butterburs; bitter sprouts that are the first thing to pop out as soon as the snow melts. Kind of our signal of spring, and good tempura'd). Interesting yesterday at the Yama no Kami event, as the south wind swung around to the north and the snow started up. Not a lot over the past day, though, but it is snow and it is white out there. It's fairly dense, pellet-y snow. It should taper off today (Saturday) before the sun starts shining and we get a real spring week. As it gets warm, watch out when you're climbing under the cornices, and possibly soft snow slides, too. New snowfall: 12cm of graupel/soft hail. Conditions: Wind has come down to a light east breeze. Barometer is rising. I’m sitting here at Dancing Snow’s World headquarters, wondering if our roof is going to fly off (already had some roofing from somewhere land in the yard on a previous day of blowing like mad). The snow is turning to a spring structure, with yesterday’s little bit of irregular crystals of fresh snow transmogrifying into melt-freeze, rounded, bonded, big crystals. Maybe we should really hope for settled snow, instead of one last chance at powder (OK, never say that…. sorry). We might get some snow Friday, and it would be great if was a plowable depth. I don’t mind getting out early to clean up if there’s some good white stuff out there. The wind was just screaming in from the south up high, too; we could have a lot of blowing and even some addition on the cornices up high with this. I did notice (and forgot to mention) that Suginohara closed the No. 3 (top) lift and said it was becasue of avalanche danger. I think that probably was more for people heading out of the area, because the resort does pile up big snow deflectors above the lift, and avalanches do come down from the cornices above that top area. Lots of things could happen in the coming days! New snowfall: 0cm Conditions: Strong wind through the day is eating up the snowpack; a little rain but nothing heavy yet. Barometer is falling fast at the end of the day. A little snow and sun before…. It was a nice day out there; still a bit cold, but with a warm sun. The snow really firmed up; got a bit of crust doing the foot penetration test, and the foot went down about 11 cm (not that much, pretty well settled). We keep hoping for a good snowfall (one last powder! ), but only 1.5 cm here at the base of Akakura Kanko. Had some fun over the weekend on south slopes: hugely wind-affected snow on the south face of Mitahara—looked like a million people had skied down up high, but actually soft and pretty fun, hard to turn but sunny and fun down low. The word from the hill today was ice up high on north-facing slopes (like, scary skinning on fat skis, my contact tells me), more fun on warm south slopes. "A day for enjoying the hike, not the skiing," I believe he said. Tomorrow that freezing level heads way up again to over 3000 meters (crazy), then another fast fall down to 700 meters during Friday and continuing all the way down to sea level by Saturday. Each time this happens the forecasts have the promise of heavy snow, but I’m not holding out much hope! Don’t want to jinx a chance for one more powder day…..
New snowfall: 1.5cm Conditions: Light east wind at base; pretty sunny through the day and getting warmer already (if the outdoor sensor, which is not great on maximum temperatures, is correct). Nice day out there today: sunny, some good powder on north faces. Not a lot of new (especially high up), better lower…. But it’s not going to be good for the rest of the week. The sun today has crusted things up; there was some wind down low that didn’t help; and the freezing line is going to keep heading up to Thursday when (drum roll) rain will fall. I would say think towards settled spring snow, but there’s still a good chance of powder ahead. Just not soon. Light surface hoar on the surface of the snow today, but that definitely disappeared in the sun today. The foot penetration part of today’s test — full weight on one foot in the snow — resulted in less than 15cm depression. Not soft powder. Let’s see what happens; the forecasted freezing level for Thursday has moved down a bit, and mountain weather does change…. There’s still lots of good ahead! New snowfall: 0cm Conditions: Calm at base; winds picked up low mid-day. barometer is high and steady…. It’s been a while, thanks to influenza A and the lingering after-effects for your reporter…. I missed getting out every day to measure the snow, although, fortunately, we didn’t have a lot of exciting changes in our gap in the info here…. Pretty consistent temperatures, not a lot of strong winds, the biggest snowfall was 49 cm on the 18th. But things are going to get very interesting from now on, so time to get these reports back up! 15cm of fresh today, made up of not very large, irregular crystals. Unlike the huge stellar, “snowflake” crystals on the 22nd (absolutely beautiful, sparkling on the surface, 4.0mm in diameter). That could account for one not easily disturbed layer down i the snowpack that we found during a training session at the World Headquarters for the police and fire department. But nothing much to be concerned about. And the beacon Park is open again, and we have enough distance to the far beacons that you can also practice the initial search stage of searching for a signal. Then follow the flux line in, do your fine search, probe and… success. If you don’t know what I’m talking about, come on by and give it a try! Conditions: Calm at base; temps are pretty mild, barometer is up, humidity moving down quickly. Light winds along the ocean, coming in from the north. The freezing level will be moving steadily up, especially from Tuesday. Could be very warm Thursday, possibly with (yuk) heavy rain. How much rain; how fast snow? This is the day something is going to happen. Hard to tell early in the morning, as it was sunny, a few clouds, not that warm. A few minutes later and a lot of clouds had suddenly formed; now it’s a thin layer of high clouds that still lets the sun through. It is definitely warmer, though; the barometer has continued to fall through the morning. The SW wind was pretty steady early on, although it’s not doing much at the moment. A lot of heavy snow is still up in the trees; when it does warm up it will start falling—I would say look up as you’re traveling through the woods today but it’s hard to ski (or snowshoe, for that matter) while gazing at the branches. The snow on the surface today was again sparkly surface hoar, but very small and already becoming more round and bonding by 9 am. There will definitely be sun crust out there; the nice powder that was still lingering even on east faces will be gone today and it could get kind of nasty. Hope the forecasts are good, and it gets cold and whatever rain does fall quickly turns to snow (and hopefully without forming an ice layer in the snow). The Niigata Meteorological Office already has the possibility of 5 cm in mountain areas up to tomorrow; looking forward to what the Prefecture website says at 3 pm, when it issues its overnight forecast. New snowfall: 0cm Conditions: Calm at base; same as yesterday, steady S/SW winds fell off by 9am; barometer is slowly falling. Another cold start to the day, with a glittering covering of surface hoar on the snow. As we have talked about before, in a lot of places that sparkly, sharp stuff can be the cause of concern—in some places it will grow feathery, get buried in the cold snow, and just stay there, a fragile layer under new snow that will break and cause mayhem (i.e., the slab avalanche). Here, it usually disappears almost immediately, just a beautiful sight on the snow and not much more. Niigata prefecture’s official forecast was off again for this morning (20 cm, vs. the tiny coating we got). I don’t want to say too much bad about them, though; it is the best and most reliable of the snow forecasts around. snow-forecast.com for the freezing level and winds; windytv.com for the winds (obviously) and other elements (snowfall, snow depth, waves, etc.—see our inset at bottom right), the Japan Coast Guard for offshore wind directions and strength…. Look at a lot and still get flummoxed at times. The snow is a little more settled than yesterday, with a warmer snowpack at the top levels as well. There were some pretty steady S/SW winds early, but it still hasn’t gotten that warm here at Dancing Snow World Headquarters. Watching the trees for all that snow hanging on the limbs to start falling, and the white stuff is still up there. Haven’t heard if sun crust is forming heavily down low (our team out today is on a sprint, it seems). Tomorrow, let’s hope that rain doesn’t come. It’s going to go cold fast again after that, but another warm spell is predicted for the middle of next week, with the freezing level possibly going to 1300 meters on Wednesday. maybe if it just stays at snow—and even some heavy fall?—tomorrow late so we have a fun Sunday. Got a nice amount of snowfall up to the morning today—22 cm—nothing too overwhelming, but a nice fill of good flakes after a few days with no new accumulation. Cold temperatures continue, too, with a lovely -10°C greeting me out in the snowplow this morning. It stayed pretty cold, especially high up on the peak. Yesterday our guides found some nasty wind crust up on the open faces of the peaks; today it was a lot softer but they still found some whoomphing (the sound made when the snow surface collapses slightly under the skis, most likely the wind crust under new snow). Got to dig a pit at about 1700 meters on an east-facing, rather steep slope: there was a visible layer about 55cm down in the pack (wind and sun? ), but it wouldn’t move during tests. Below that was all good all the way down past one meter. Just increasingly dense white Myoko snow. Those nice cold, fresh crystals also made for some amazing skiing. Hero snow. Everybody looked good. Looks like it could get warmer during the weekend (did I really see the possibility of rain?). Let’s hope that freezing level decides to stay low and the temperatures remain cold. a New snowfall: 1cm Conditions: Calm at base; some strong winds early that dissipated around lunchtime; barometer has risen through the day—sun tomorrow?. Only 1 cm of new snow since yesterday, and it’s cold and clear out there. Major winds up on the peaks and ridges; seeing lots of snow tornados coming off the top of Mt. Myoko and the lower peaks, so the possibility of wind slabs and snow deposits on lee slopes is increasing. I did hear from a pro photographer that they were finding some sliding on an icy layer on southwest-facing slopes, but in general people have been reporting pretty stable conditions. Although it’s a perfect blue sky right now, the Niigata prefecture report is predicting 8cm up to 4 pm, while the Niigata Meteorological Office has an even more optimistic 25 to 50cm. There are clouds starting to move in from the north/the ocean, so let’s see! It’s also interesting to look at the unusual wind patterns offshore from the Note Peninsula to Sado Island: really strong winds going right along the coastline (similar to what brought all that snow to Joetsu, but not us, yesterday). Would like to get a really good coating of fresh out there in the hills, even if we do have to be a bit careful about new on any lingering sun/wind crusts. Only 1 cm of new left on the study boards this morning, but it was nice, airy, flaky snow (bits of broken stellar crystals). Should be nice out there, and there’s likely more snow higher on the peaks. New snowfall: 1cm Conditions: Calm at base; strong winds on ridges and peaks; barometer has risen 8 mbar since 8am. 2PM UPDATE: FROM THE FIELD Our tour team for today found some serious crusts all the way up from Suginohara to near the top of Akakurayama. Cracking and whoomphing on the ridge up to the peak; serious wind effect up high, with wind drifts/waves. Much better conditions down in the beech forest. Now snowing heavily, maybe two cm per hour. Winds also died out on top around noon. Well, we dug out the beacons in the BCA Beacon Park in preparation, but that big snow never actually arrived (but the beacons are going back in, so do come and practice your beacon and probe skills). Lots of snow along the coast, it seems, with reports of nearly a meter in Joetsu City to the north. The big low-pressure cell off the coast to the north is really pulling winds in fast along the coast to the east of Noto Peninsula, but it’s nice and quiet (and not so snowy) here. Looks better for the rest of the week, though, although the heaviest falls seem to be further north and east. Today’s snow was more of the nice light stuff I saw on the plot yesterday—bits of broken stars with plenty of air in there, too. We only got about 8cm of new snow at the base level, but there definitely was more snow higher up on the hill. It was nice and calm, though, even at the peak of Maeyama, something we always appreciate (you can enjoy lunch on top, and also not see the cornices building before your eyes). It’s been one of those days of sun to the east and south, and gray, maybe snow, high up, from about the top of the ski area. Nice bit of snow overnight; almost exactly what the Niigata Prefecture forecast predicted (35cm, vs 32cm out on our study boards). It’s continuing to snow nicely right here at the World Headquarters, while the word from guide Miles up on the hill is a bit more up on the main face of Maeyama. Light snow, too; lots of broken bits of stellar dendrites (the “snowflake” flakes) meaning lots of air in there too, which means good skiing. Calm conditions here and at 1800 meters, also nice to hear. The freezing level is back to 0 meters and will stay there for most of the week, so good cold conditions for the snow. Would like to get up on the hill and dig after we get some more fresh, to make sure the new is bonding well on top of some of that old snow, which did get some sun exposure and was crusty and even icy in places high up as well. I did notice that the crust was softer yesterday when I went out to the snow plot, which hopefully means soft old snow bonding nicely to soft new snow. Did dig out in back as we did some avalanche courses, and found some nice, well-compacted Myoko snow (but still with that old rain layer sitting way down in the snowpack at more than a meter down). Some of the predictions on the TV news were for up to 70cm by tomorrow, so let’s keep an eye out, and think about the danger of sluffs as well if we hit steeper slopes, valleys and such in the deep. Got some great turns in over the last two days—and got crazy busy, so even though I went out and did my snow poking duty, I didn’t transfer the data into useable form on this report. Sorry about that. In a sense, though, there wasn’t that much to report. The beautiful sun on Wednesday started to make for some sun crusting and heavier stuff down low, but the snow in the trees and on north faces has remained good (light, powdery). Today we had unkai, the sea of clouds, down below, and a beautiful day for people above maybe 1700-1750 meters or so. The question now is, when will that big snow fall? The forecasts are slowly moving back away from a Friday heavy fall, but snow should be falling over the coming days. Colder weather is on the way, too, with the freezing level falling from Sunday to 0 meters on Monday. Still, I think I’ll dig up the beacons in the BCA beacon park out back—but I’m happy to put them back in when people want to train in the park! It’s a great way to get used to using your beacon and probe (and I have BCA handouts on these and shoveling if you would like a copy!). Niigata prefecture’s website may be one of the best sources on snow depths, but it was short today. Maybe they got the numbers backwards: 54 cm, not 25—and it is still falling very heavily. Pretty strong winds with the snow early in the morning, but these faded by 6:30 or so. Very light, soft snow, though; should be great skiing, but there is also a very real risk of stuffing on steep slopes when this new soft, unconsolidated snow shifts as someone skis by. Did hear from several people who fell recently on steep slopes, ended up head-down and being unable to get out without help. Scary. Doesn’t have to be an avalanche to suffocate! Noticed that the Japan Avalanche Network’s forecast for the day had higher danger low and high, less at treeline. The word from the hill is that there is a little less snow at the top of the lifts (although not much wind), Might be a little trickier on this side of the mountain; should be great skiing, but teamwork and caution are both in order today! Woke up to see needles on my sleeves—long, narrow crystals, and not a star shape in sight. Not great if you get a lot of these; imagine them laying there next to each other on the hill like a pile of, well, needles—no air in between. It can be hard to move downhill in a big pile of needles. But these turned to normal, big, Myoko flakes soon enough, before tapering off in the afternoon. Only about 10cm of new this morning, with a bit more through the day (we’ll know with tomorrow’s check on the 24-hour snow board). Nice and quiet through the day; some sun in the afternoon but not really enough to even give the snow a slight sunburn. Nice conditions reported off the hill. Meanwhile, we held a day-long avalanche session at the office and out in back, complete with beacon practice in the park, some probing, shoveling and even two practice burials (with a radio and helmet for safety). Fascinating how the human voice gets muffled by snow if you’re laying face down, and how black and quiet and unmoveable it is once you’re buried, even in just 30 or 40cm of snow. Not fun, actually! But something everyone should try once. And probing a body vs. probing snow. Does not feel the same. We also had a nice dig down to the rain layer that has been a source of ongoing interest; it’s down about 115cm from the surface here, thick and heavy, with a 5cm layer or so of more consolidated snow and a sugary layer down below that. Not what you want to see, but we couldn’t get either layer to move much when doing a compression test (pound on the snow in the prescribed, increasing-strength method, watch for layer sliding/breaking/moving). But something to keep in mind as always. The Niigata prefecture forecast is for 25cm up to 9 am tomorrow. The freezing level also goes back down to 0 meters, after a slightly warmer Monday. No real high winds ahead on the forecast, too, which is nice. New snowfall: 10cm Conditions: Calm at base; the barometer back down along with light snow. Sorry to miss a day there (not going out to do the daily plot check felt very weird), but when one of our team’s car has a dead battery, a fast pickup comes before data gathering. But we’re back now, with the snow officially measured and even a pit dug up on the hill yesterday. Lots going on out there. First, that sparkly surface on the snow today. It’s not surface hoar, those crystals that grow on the surface and a big worry in many places (but not so much here), but great big beautiful snowflakes. The six-sided classic type (stellar dendrites). Really nice to look at, and should be great to ski in. It’s very cohesive snow, too—look at the way it hangs over roofs, piles up on the tip of poles, even flows very slowly over time. Up on Mt. Akakura yesterday, too, on an east-facing slope at about 1860 meters, the snow was really compacting nicely, from very soft at the top to nicely compressed and from far down in the pack. Didn’t see any major layers from the strong winds in recent days, either (and it was pretty windy in the morning). The one big question is the ice layer formed by the rain, now about 135 cm down in the pack. About 5 cm wide, it seems to be more sugary, and less cohesive, than it did a few days ago. Doing a compression test of the snow, it did fail relatively early—but it’s way down there in the pack. So it’s something to really think about; if it did fail it would be very big (and scary). There was a slot of stuffing reported on steep chutes as well. So don’t go alone, definitely; think carefully about steep high slopes and maybe stay in the trees—it was absolutely great yesterday. Fast; face shots up high (and I’m not short!). New snowfall: 11cm Conditions: Calm at base, no apparent winds blowing off the ridges. The barometer has risen since yesterday. Sunny early in the day, increasing clouds up to the present time. Went to bed last night not expecting to do much snowthrowing; woke up to heavy snow and high winds (and a few hours of plowing). More at the house than at Dancing Snow World Headquarters, but lots of blowing. Enough that one hike-up tour today was postponed. We actually had more snow yesterday, but the snow was better settled than today’s very light snow. The density was in fact a lot lower than yesterday, so people should be having a great time in the powder. Lots of white smoke. But that also means much greater danger of avalanches (we’ll say it right there, and the good people at the Japan Avalanche Network have also boosted the danger level to high at treeline and above, considerable below treeline). With the remnants of that rain crust still there, just about a meter of fresh the past two days, the real possibility of sluffs and the danger of being carried into a terrain trap (narrow valleys, into cracks, over edges, into tree wells, etc.) is here. New snowfall: 41cm Conditions: Continued heavy snow; gusting at base (meaning probably very strong up high), wind slab and cornice formation very likely. That snow has been falling steady since yesterday. There’s some great powder out there, and a bit more danger than earlier. First from the plot: 52 cm of fresh snow; foot penetration of 64cm (so it was soft early this morning). The snow seems to be settling really nicely, which is a good thing. Cold, of course; this was predicted to be the coldest day of the Heisei Era, which is now in its 30th year. So cold. Pretty small snowflakes that are basically accumulated bits of the original flakes from high up in the sky. From the pit: dug on the east side of Maeyama, just below the steep section (so about 1670 meters). A definite ice layer at 80cm, another at 115cm. The higher layer is made up of rounded crystals that are bonding together, but have a lot of air between them. Think of a crumbly cookie or something like that; the layer holds together, but breaks up under the fingers into crumbs. Or individual crystals. We did find seem whoomphing under the skis as this layer collapsed, which is always a sign for concern. But with a pit test, the layer did not collapse easily (but hard to tell in a way because the 80cm of fresh above just fell apart. Should be better consolidated today (and reports of fast powder skiing kind of confirms this). Some serious winds last night (as I was out plowing until about midnight—several moments where visibility was zero). Almost certain wind loading and cornice build-up higher on the mountain; really keep an eye on where you climb and ride! It’s going to stay cold with more wind, so these conditions will hang on. Generally things are safer in the woods—stay out of valleys—worse up high where there are open areas near the peaks. New snowfall: 52cm Conditions: Still snowing; a moderate/steady wind at base, probably much stronger up high. Watch for sluffing on steep slopes that could carry you into tight valleys. Looks like the snow will continue for several days. We finally got our snowfall back: 31cm by this morning, Niigata saying an additional 25cm through the day to 4pm. That might be better in a lot of ways; better for us what has to clean up the snow; better for climbing; better for general snow stability. We didn’t get the really strong winds earlier predicted, at least down low (apart from a few quick blasts); our team on the top of Maeyama found some very strong winds on approaching the summit. Expect wind loading up high; be really careful on lee slopes, around cornices, etc. Slabs/storm slabs may be forming where the wind is depositing snow. Down in the trees things should be more sheltered/settled and nice, but as always be careful in valleys where a stuff could get you into more snow than you expected. Like buried deep. One of our trusty guides (nameless for the moment) actually gave a boarder an earful on a climb yesterday: with that snowfall, no one should be climbing without avy gear (or no backpack, or cotton clothing, or….). And the boarder had nothing (except the cotton clothes—cotton kills, remember this), and got a comment from our man (good job!). Or the ski school bringing small children on snowboards off the lifts into the woods with no gear, no experience…no clue. With wind and heavy snow, anything can happen; it probably won’t, but that’s not the way we should operate. And we aren’t the snow police; we don’t like being jerks (but sometimes people deserve it!). End of rant. Be careful! Have fun in the nice fresh powder. Come share a beer with us after you’re safely down (and share your observations, too!). It seems like we can’t get a break on fresh snow. we only got 12cm overnight; pretty close to Niigata Prefecture’s prediction of 15. Nagano City got more snow yesterday; seems like Tokyo, with the most snow in four years, got more in places! We could really use some nice soft stuff out there in the hills. There was still crust and crud yesterday, especially on the Suginohara side, wind scouring up on the peaks, and the best snow further down the hill. Beautiful snowflakes this morning, though: great big “snowflake” flakes, although the snow is pretty dense. The wind is already coming up—this is the day for wind, it seems, with 60kph still predicted for the afternoon. I’d like to dig around right here in our snow plot; the breakable crust has disappeared at least underfoot; there was a pretty saturated layer of gray, wet crystals under the surface yesterday as I dug out our beacon park. Interesting to see how it evolves. The park will be back, though—come and play and get fast with your avalanche beacon. Free to play on (battery donations accepted), we’ll go out with you for a very small fee! Red sky in morning… skier’s delight? Sorry for that painful mixing of the old saying, but it was a red sunrise this morning, and snow and wind are on the way. Possibly with some wild weather (sailor take warning). We had some good winds last night to accompany a moderate (14cm) fall of some beautiful big snowflakes. Even after being blown around on the snow surface, you could see the traditional snowflake shape, with crystals almost 3mm in diameter. Density was light, too. Our team up high on Akakurayama found some wind loading and scouring in places very high up; breakable crusts still there, especially to the south side; and better snow lower down the hill. The forecast for tomorrow still has winds at 65kph at 1000 meters or so for afternoon tomorrow, which will not only shut down at least the gondolas, but also continue to load up the peaks. Expect cornices to build up, and wind loading to occur on lee slopes. Could be a lot of snow, too, which always means the danger of stuffing, especially if the stuff carries you into a terrain trap like a v-shaped valley (as was the case in a fatality very close to one of the areas a few years back). High wind and heavy snow can also mean hard climbing, and single-file (or leap-frogging) descents on slopes that aren’t steep. Always something new this year, huh? Web tool of the day: see the Coast Guard’s real-time reporting on winds offshore and along the coast, a hint given to me by Akio Shinya, outdoorsman, kayaker, the man who developed the gate access system in Niseko, and who writes the daily reports up there. You can watch the winds shift to the west and north and snow starts coming in (and see when it’s really blasting out there—good for the winter surfers among us, too). Really hard surface on the snow this morning. My foot went exactly 0cm into the snow (the animal tracks are almost impossible to see, although I need to thank the fox who left a small “present” on top of one of my snow study boards. The round pellets that fell on the 19th did start to break down in yesterday’s sun, leaving loose, rounding shapes that should loosen up and begin to bond as the temperature rises this morning. The freezing level will be coming down the hill through the day, and snow should start falling in the pm. The offshore winds are still really coming from all directions: a south wind at the tip of Sato island, southwest in Joetsu, a northwest wind off the Noto peninsula. When all the arrows start swinging around to show onshore, NW winds, things will be changing on the snow front. New snowfall: 0cm Conditions: Light west wind; could be blowing high up (hard to see with some cloud cover). Hard, icy surfaces on snow and roads. It is not January out there today. It’s sunny, it’s warm (but not too hot, so we’re OK). March. Feels like March. Before I get into that, I have to both apologize for being late, and thanking everybody for stopping by the shop! We have been so busy all morning that I couldn’t take the data from the study plot (and even that got delayed a bit more than usual) and make some sense out of it. And it is interesting. It did stay cool enough that the soft graupel pellets that fell yesterday are still there pretty much untouched and unconsolidated. What’s interesting is the rain crust below, which is starting to bond a bit, it seems. Stepping onto the snow with one foot, the penetration was only about 17cm (more on my heavy heel than my toe; may not have been so well balanced) compared to 26cm yesterday. It’s a light layer than crumbles a bit under the fingers, but is made up now of interconnected, round crystals. The hope, as last time with rain, is that additional snow will not just bury this uncertain layer, but that the pressure and warmth (because snow is a good insulator) will mean the bonds will just get stronger, and the layer will eventually just disappear. Keep your eyes on this in the coming week! We’ll also be digging around on the hill, once tours head out again. Oh, and one more thanks: we’ve cancelled a lot of tours this week becasue of the poor snow conditions. This crusty stuff is not only not fun and hard to turn in, it’s also potentially dangerous (becasue it’s hard to turn, and speed can build up before you get things under control). We’d like to get out there, our business means getting out there, but safety (first) and making sure our guests have fun (second) are really important for us. And, hey, snowshoeing is great in this stuff! New snowfall: 0cm Conditions: Calm and sunny. Light west wind this morning, no visible blowing on the high ridges. The word from the hill yesterday was good snow from 2000m up, crust below. So 400 meters of good, 1300 of struggles down…. The snow fell a bit through the night; the official average at the snow plot (poking the ruler in several locations on the board) is 5.5cm. The snow is not the kind that gets us real excited, though. Let’s call it graupel, or soft hail, but small—little round pellets of snow. Welcome, of course, but the kind of snow that can be a real pain to ski in if there’s a lot of it. The little round units (about 1.5mm in diameter) sit so close together that it can be difficult to move forward in (think of breaking trail downhill—have done it!). Under the fresh, the old surface is now a breakable crust: the foot penetration test (all my weight set on one foot) saw a greater depth than yesterday, disregarding the new snow. Meaning it’s softer under, crunchy on top. Not fun. High winds during the night may be partly responsible for the crust (it was really blowing about 3 am). A light wind was coming in from the east early this morning; windy.tv is showing very strange winds coming from all directions all over the Japan Sea in Niigata, Toyama and Ishikawa. It feels (and nothing scientific here) like things are getting ready for the next weather cycle. Which looks to come in very hard, especially Tuesday and Wednesday. Still mild temperatures today; tomorrow will likely be even milder, perhaps sunny, and then things get colder again. It tried to snow there early in the morning. Got some good info off the hill yesterday: there was snow up high, up to 50cm, one guy reported, but there was also rain on the new stuff further down. Pretty steady rain early this morning has just continued to settle the snow; the surface at base is even-more-well-connected round crystals. New snowfall: 0cm (plenty of rain). Wind: Calm here at base, trying to be sunny with decreasing fog up the hill. It is wet. The snow is wet. Got a call earlier from a guide who said it was snowing up high, but our main guy Miles went up and found some fresh snow that had been rained on. Meaning tough turns and not much fun. The snow is quite saturated with water, but the crystals are also nicely bonding. Today’s loupe shows nice, big, rounded crystals all nicely connected by bonds between them. Once again, if the temperature suddenly goes down and we get an ice layer, it’s time to be worried (and it depends how high up the rain went up the hill—it’s at least up to the top of the ski area, or about 1500 meters). The snowpack is going down, but it’s also settling, which is not a bad thing. Fresh, of course, will be nicer. Pretty steady rain overnight has settled the snow at base level; early in the morning this turned to small ice pellets mixed with rain. Not pleasant. Heavy fog from about 7am to 8, then suddenly things cleared up. We decided not to go out on the hill, however; yesterday any slope exposed to sun was getting a sun crust, and snow lower down was a heavy oatmeal texture. We did wonder with the high ridge blowing high up how much cornices have built up; don’t think it rained up high (which could have brought them down); still looks like snow rather than rain up high. Things are pretty tracked up after the weekend; looking forward to a refill of snow, but of course there are concerns about rain creating possible ice layers or wet layers that could change within the snowpack. As always, time to be careful and observant when things are changing. It would be great to start moving toward (a more common) consistently cold January and early February…. New snowfall: 0cm (rain and a thin coating of ice pellets). Wind: Calm here at base. Surprisingly sunny, especially after the fog. Last day of powder for a while? Deep snow out there on the hill, but already sun crusted low down, and very heavy. Did see some pretty good stuffing after people skied on north faces; nothing to worry about in open areas but could be nasty in a narrow valley (like, lots of snow coming in on top of someone). Very strong winds and blowing snow on the very high peaks today, although not bad at the top of Mt. 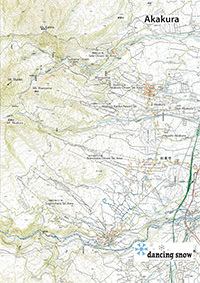 Maeyama (1932 meters). Not as much wind-effected snow compared to the end of last week (and not icy surfaces, either). Tomorrow is looking better than in earlier forecasts, although rain is coming late in the day and into Wednesday. The freezing level is coming down, but not as far as we have had recently (like 0 meters). But the forecast is still for snow here at Dancing Snow World Headquarters level, and we hope it works out that way. I said we weren’t getting the snow others were; we got that snow in force last night. Heavy snow from late afternoon into the night; I came home about 9:30 last night in crazy snow, only one lane for cars and mad snow clearing going on, but at 5 this morning there wasn’t that much more so it probably stopped before midnight. Total of 62 cm, and it feels very dense to walk through, although my calculations had it as very light… Maybe the difficulty of getting a good sample when there’s that much snow (maybe I need to rethink my gear….). Anyway, the snow contained lots of rounded forms like small graupel (soft hail) and snowflakes with lots of rime on them, which could make for some heavy going. First report off the hill is deep, heavy and could sluff a bit, so watch out for terrain traps like narrow valleys. Tomorrow should slowly get warmer as that freezing line moves up. Hoping that the maximum level will keep coming down; the forecast is still for the freezing level at 2000 meters on Wednesday, lower than previous forecasts, but still with rain. Hope that changes! Becasue of all the snow and the density, we cancelled our tours for today. Partly becasue the clients weren’t that keen on climbing, partly becasue the hike up would be miserable, and there’s the chance of not moving forward except on the steepest slopes. Safety first (fun a close second) at Dancing Snow! Our usual snow patterns have been turned around over the past few days; the areas along the ocean have been getting hit heavily, while things have been lighter here, at least at the ski area level. Some great snow up high yesterday, though; some wind scouring of the windward sides of ridges left some unpleasant ice surfaces exposed, while snow deposits on the lee side could be very compacted and heavy (stopped my skis on a steep slope!). Nice in the trees, with the layer of fresh declining a bit around 1300 meters (some rebounding off the ice underneath the snow when making turns). There are some icy chunks in the snow under the trees, probably the snow bombs brought down off the branches by the rain and frozen afterwards. It was really cold overnight; a minimum of about -10°C here at our center, and still in the minus now. Snowing up on the mountain now; nothing at base; and it’s sunny and really clear to the south/southeast. Probably can see all the way to Mt. Fuji if you look carefully…. Calm at base today but with the occasional set of gusts, and has been since very early morning. Waiting to hear from a team up on the hill about wind, loading, etc. on the peak. The gusts make me think there could very well be some strong breezes up high. Keep watching for wind loading on lee slopes. New snowfall: 14cm Wind: Calm low but with some gusting. I realized I haven’t been changing the top dates as I post these reports; yes, working on the previous day’s file and adding more. And the brain is overloaded from a really busy first couple of weeks here (thanks to good snow that needs clearing from 5 am, and thanks to our great guests! Some great times already). Without snow on the ground today, I let myself sleep until until 6:30; did my snow study plot data gathering, did one report, but ran out of time before the guests arrived! But I have good data for you. Finally dug a pit on top of Akakurayama yesterday to check on that rain layer. There was still a lot of wind up there, and a lot of scouring on the surface, but towards the east there was 40cm of really nice fresh, and an ice layer that is very rough and not that thick (this is at about 1850 meters). It seems to be adhering well to the fresh snow and the snow below, and a test showed this is likely to be true. But it’s something that needs to be followed up on in the coming days. Great skiing conditions up high today; the ice layer is closer to the surface at 1200 meters or so and down. We’ve missed the really heavy snows that are falling all over Niigata, which frankly is weird. There was heavier fall along the ocean than in Myoko—not normal—so lets see what happens overnight! I promise to be a good reporter and get something out in the morning! New snowfall: 0cm at the start of the day; falling now and will report in the am Wind: Light from the WSW. Not too much wind high up either. Not much snow overnight, and a nasty crust on the surface—the kind that you might break through, or might hold you up. Similar reports from folks up on the hill yesterday: 15cm or so of fresh on icy crusts (thanks Eric and Juri). One down a little bit in the snowpack. I’ll be up on the hill today, too, so we’ll get some info from here and there. The new stuff is pretty light, too. If my calculations are right, it’s about 93kg/m3. Not much of a sample, with only 7 cm. Let’s see what the ice does as it gets buried in the snowpack, and also hope for a nice reset of the slopes! It’s going to be colder as the freezing line goes down to 0 meters…but then it starts rising again in the new week. Sunny days are nice, but, well, not very Myoko-like, right? New snowfall: 7cm Wind: Light from the WSW. More small new flakes—think of shattered bits of pointy snowflakes…. I got sidetracked this morning after going out to gather data around 7:30; just couldn’t get inspired by the snow. Niigata prefecture’s forecast is one of the most accurate (just look for 妙高高原 at the bottom left of the map and you will have learned the kanji for Myokokogen) had 15cm as the overnight forecast, but we only got about 4 here. My footsteps out to the plot in yesterday’s wet snow are hard and icy today; digging down a bit, the round, wet crystals are there under the white fresh new stuff, but gray, bigger and at this point kind of weakly connected. There’s a lot of moisture in there, and if it gets insulated and pressed by new snow it might well just become part of the snowpack—or it might stay as ice or a weak layer. Need to keep an eye on this, and I doubt many people will be out in the backcountry today. We cancelled our tour—it won’t be fun, easy to turn in or even safe, really. My knees don’t like this kind of snow! Actually, just got a call from a guide up at the top of Akakura: he says 15cm and more on top of the wet, the layer underneath is softening (an excellent sign that it will indeed bond with new snow), so there is hope for better, and safer conditions. But still always be cautious! Really hoping for some more coverage, but I see Niigata is forecasting 4cm up to 4pm—they got it just right, but off one reporting cycle. Strong west winds offshore again today, although the Northern Alps and other mountains to the west of us are giving us some shade form the wind. The freezing line will be coming down through the day and hit 0m tomorrow. New snowfall: 4cm Wind: Quiet at the moment, moderate earlier from WSW. The new snow is made up of small, mixed new flakes. In for a wild ride? The weather and snow are, ah, interesting today. The rain has cleared off the trees (goodbye first round of snow bombs), and really settled the snowpack. It’s warm and soft and easy to walk on—your foot isn’t going to sink in that far. The question now is how fast it will get cold, as that freezing line flies down from somewhere around the peak of Mt. Myoko to 400-700 meters today and tomorrow, and all the way down to the ocean later in the week. Meaning a return of cold. Hopefully there will be a gentle change, maybe even rain slowly shifting to snow, so the snow gets a chance to bond to the existing crystals; scarier if it suddenly gets cold and a weak or icy layer is created. There’s going to be some heavy snow ahead, and that’s not welcome on top of a questionable layer. There’s already wind closures at Lotte Arai; the lifts there were reported as not running during the morning. A good time to really watch what’s happening outside (it is interesting, huh?). Looking forward to what’s up for tomorrow’s report. New snowfall: 0cm Wind: On and off from the west in the morning, VERY strong offshore (20m/s on the southwest tip of Sato Island, 17m/s in Joetsu on the coast). Take a look at the very informative (and frankly beautiful) windytv.com, which makes weather maps really come alive. The wind really picked up this morning, with a steady south wind and occasional strong gusts. Lots of snow bombs falling from trees with the higher temperatures and winds (not fun to be out for, let’s say, a snowshoe in the woods on a day like this!). The nice, sparkly hoarfrost of last night has now turned into rounded crystals about 0.5mm in size that are sticking together pretty nicely; the snow is very definitely more compacted, meaning none of the very pleasant (and fast!) powder we found on a nice trip yesterday. Things get more interesting through the day as the freezing level starts heading way up higher than the peak of Mt. Myoko—2,700 meters is forecast, meaning we could see rain way up the mountain. That can make things both unpleasant and dangerous (depends on how well that snow does settle). Then it’s going to quickly get cold, so we really need to watch and see if a new layer forms in the pack. Especially as some pretty good snowfall will be coming along in the following days. Very interesting, this snow stuff! Hint of the day: airbags alone aren’t enough, as great as they are! An airbag and a beacon (along with shovel and probe, of course), is a good insurance policy. Just add some good sense and experience. Just a quick comment, as I did see this yesterday (airbag, yes; beacon, no). The snow has fallen pretty steadily in this still-young year (seem like New Year’s Day was a month ago!). Here at base level things have been nice and steady, no big temperature cahnges, some winds but nothing much to see in the snowpack afterwards. That sparkling surface hoar yesterday was one of the more interesting things to look at, apart from all that snowfall. So our team coming on an avalanche set off bay the previous group high up on Mt. Mitahara was a surprise, but, with lots of reports of high winds up there, not entirely unexpected. First of all, glad everyone was OK; there was a lot of mad digging going on below, but it turned out to be buried gear. Cracks propagating out on a fairly flat section was one more unusual factor—a sure sign of weakness down in the pack. Wind loading—snow blowing in and dropping below the ridges, and forming a solid layer—on top of a layer caused by wind or sun is very likely. But until we can dig, we can’t say for sure. Lesson learned: sometimes things look really good, and things bad. So, again, beacon, shovel, probe; good awareness of recent weather and changes; good, thoughtful, experienced people to go out with you; and a healthy does of caution. New snowfall: 10cm of small, irregular flakes. I wish I could have brought everyone with me for this morning’s snow plot data gathering data. The snow has settled; nothing surprising there. No new snow. Still nice and cold. The fun part was those sparkling crystals all over the surface of the snow. A nice warm day yesterday, plenty of moisture in the snowpack, and cold overnight temperatures (says a minimum of -10° overnight here). Lower humidity, too. With the cold temps, moisture moved up to the surface where it attached to and grew on surface snow. The result was big, faceted crystals—you can see the growth lines on them, like the rings on a tree. Just beautiful; I’m geeking out over these. Again, in many places this would not be a good development, becasue these crystals can remain big, unconnected and lingering in the snowpack, potentially creating a weak layer that could result in slides later. Here, they will probably just fade away, warmed up and pressed into and disappearing into the pack. Our team on the hill also dug a pit yesterday: just nice, consistent snow all the way down. So things look good—but still be careful, always carry your beacon, shovel and probe, keep an eye on (and stay away from) those new cornices. And have a great day! Some sun crust down low, so we could use some fresh snow, which looks likely to come today and tomorrow. Calm at base, no winds blowing off the ridgelines as of 9am. After a whole night of gently falling, big, shiny, sparkly snowflakes, the cycle has ended. The lightest snow of the season (at 82.19 kg/m3, if you’re data oriented (I’ll give a comparative figure during the next snow, OK?). Light, but not as unsettled as yesterday: my big foot went down just 58cm, instead of the 92 cm yesterday. Cold over night, too; minimum temperature of -8.5° here at the base of Akakura Kanko. With the sun today, things got even more consolidated. There are a lot of very soft, fresh cornices out there; I was on low (1382 meters) Mt. Madarao, and all the ridges were covered in very soft, even splitting cornices. Be careful on the especially steep and big ones, such as on Mt. Mitahara! Things are staying cold, which is good, but that rain Monday (with the freezing level flying way up to 2050 meters in the evening) could bring them down. I found, as did others, some sun crust on south-facing slopes by the end of the day, especially lower down. Calm today and sunny. Back to snow tomorrow(? ), sunny Sunday and (blech) rain and warm Monday. But it will pass fast, and cold will reign—so be careful about possible ice layers forming in the snowpack from wet rain-soaked snow turning to ice! Especially if there's a heavy snowfall on top of a weak or icy layer. A lot nicer snow for your skiing, boarding and less so snowshoeing pleasure today. It was pretty hard work snowshoeing yesterday; today’s snow is also unconsolidated, so you can expect to go way down in, especially if you are in boots. Doing a foot penetration test—stepping onto the snow on one foot and seeing how far down we go—gave the exciting figure of 92cm. Meaning nonstop until I ran out of leg, and that the snow is still very loose and unconnected. The total so far for this cycle (and with some settling) is 110cm. Wind is light from the north/northeast. It was pretty windy early in the morning, so cornices should be building up on the ridges. Can’t tell about ridge blowing, because we can’t see them—but as the Dancing Snow team gets up more, and we get reports from other locals, we’ll add information from high up as well. With all this snow, though, and the wind we have seen, we can assume things are growing up there. The temperatures are staying nice and cold, too, for this time of year, with highs no more than around 0°, and lows at base around -5° to -7°. Tomorrow looks to be a little more sunny and bright, which will be nice, but keep an eye out for Monday, when the freezing level (the 0°C line) will go way up, and rain is likely. Rain on fresh snow: instant avalanches. One big flash of lightning and a crash of thunder late last night, and we knew 1) heavy snow is almost certain to fall, and 2) it would be graupel, or soft hail, the little pellets of snow that bounce against each other high in the clouds and create static electricity. And lightning. Graupel is weird stuff: it's dense, it can grow to be pretty big. In a lot fo places, it can lurk in the snowpack and cause a weak layer that later can be the cause of slab avalanche releases. Luckily, with our maritime conditions of fairly constant temps, the pellet layer usually disappears fairly quickly. BUT it should always be a cause for thinking carefully about the day's course. The other thing is that graupel in quantity is so dense that it can be really hard to move in. Get 60cm of this stuff on a slope, and you'll need steep conditions to even move forward (I can remember setting downhill trails on many occasions!). And another thing I've learned: never plan the day based on the weather at 6 to 6:30 am. I'm usually out blowing snow, and the snowfall will slow, the wind will stop, a little blue sky will show—and then everything comes screaming back on. Weird. It's hard walking in this; my foot penetration test (how far one foot goes down after stepping in fresh) was 61cm, which means it's not real settled. And snow continues to fall at a rate of two cm or more per hour, with occasionally gusting wind. Maybe a good day for the slopes? I’ve been thinking about doing this for a long time, since there is not that much information on snow conditions right here in beautiful Shin-Akakura (right below the Akakura Kanko Resort). In fact, I’d like to do a daily podcast, but the snow has been a little too good! Meaning long morning plows, and no time before the mic. But we’ll keep working on it. We now have a snow study plot set out in our backyard, so we have fresh data every morning on daily snowfall, snowfall through a storm cycle, the weight of the snow, how well it is settling, temperature of the air, snow and within the snowpack. Hopefully this will be of help to those who have just arrived and are thinking about heading out, but don’t know what happened over the past days/week. This is just data, of course; be careful and use this as one of your sources of information as you head out! We’ll also be setting up the BCA Beacon Park in the back as well. Come by and practice your beacon and probe work (and, if you’re ambitious, you can help us dig out the beacon units at the end of the day). Remember, when you leave the groomed areas, you are in the backcountry. Sidecountry just means you’re not hiking up, but the dangers right off the courses can be the same as kilometers out in the hills. Beacon, probe and shovel are not an option, but part of your regular gear. 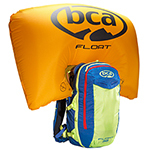 End of rant—but we’ve got BCA gear available, and are ready to provide rentals or sales of this great snow safety gear. Nice, light snow today; there were some real snowflake-shaped crystals in there, keeping the density fairly light, although the snowpack is fairly well settled. Pretty high winds during the night, so it’s time to start thinking about snow loading lee slopes. The snowpack is still low enough that there’s still a lot of brush and vines out on the hill—it may be hard to link a lot of turns, or to traverse on slopes with lots of small trees still sticking out of the snow.. A few more meters of snow and hopefully they’ll all get pushed down under the surface. Our team out today found some pretty hard going higher up on the hill, with heavier snowfall lower down (good turns, but a hard slog out at the base). Lots more snow coming Tuesday night, with the official prediction from Niigata prefecture at 55 cm. Lots of fresh snow can mean sluffing, too, so be careful about terrain traps such as valleys where a little slide could mean deep burial. Put your beacon on with your clothes, have your shovel and probe ready, get out with friends you trust, go down one at a time and have a safer, great time in the fresh!